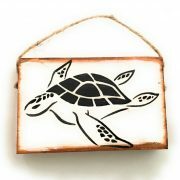 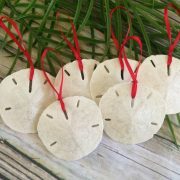 This beautiful large Sand Dollar measures approximately 3.5 – 4 inches. 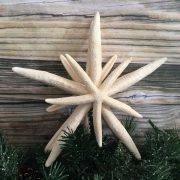 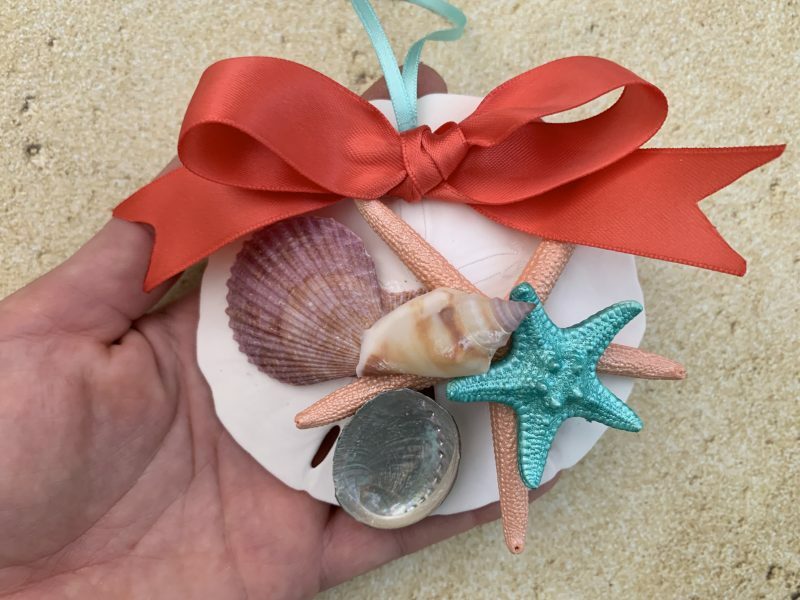 Each Sand Dollar is finished with a metallic peach coral finger starfish with metallic turquoise knobby starfish; purple scallop seashells, abalone shell, and small Strombus Urceus seashell. 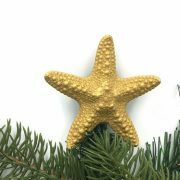 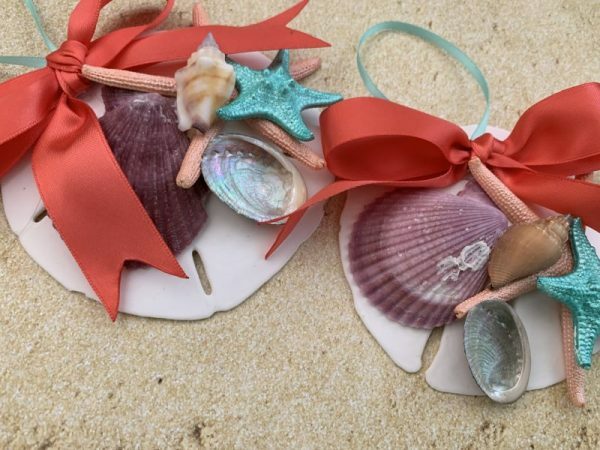 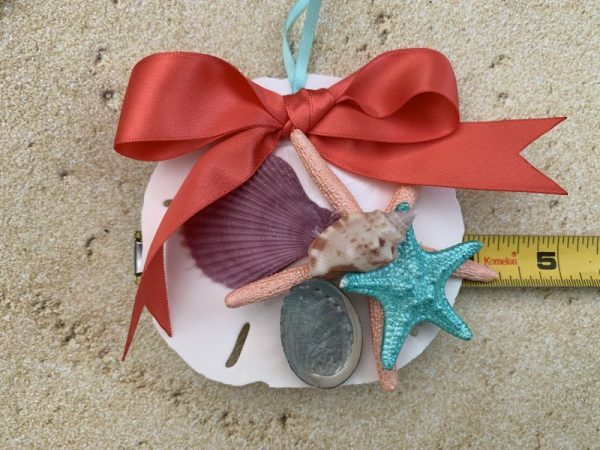 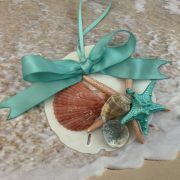 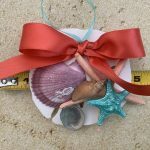 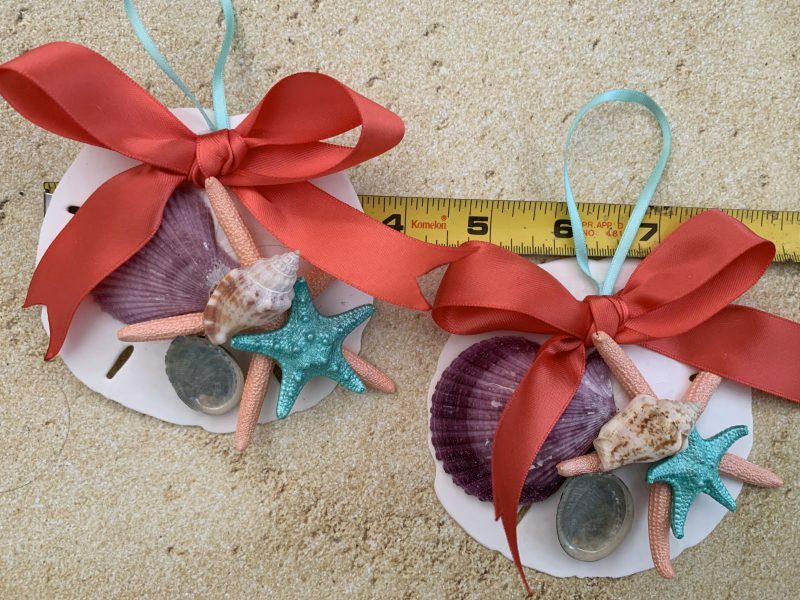 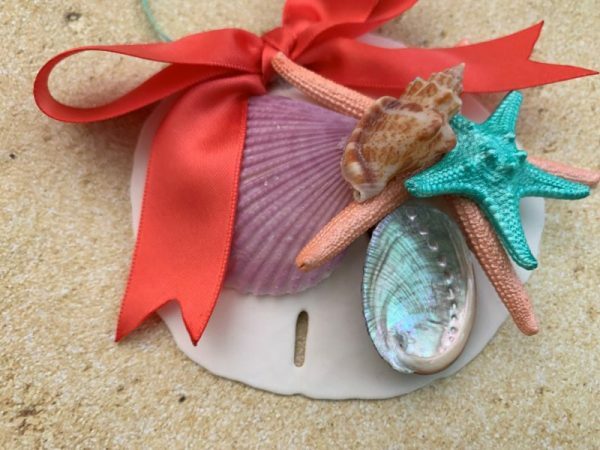 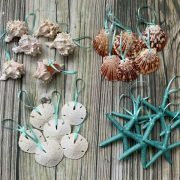 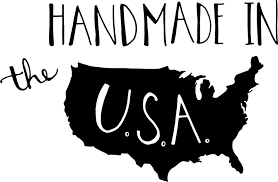 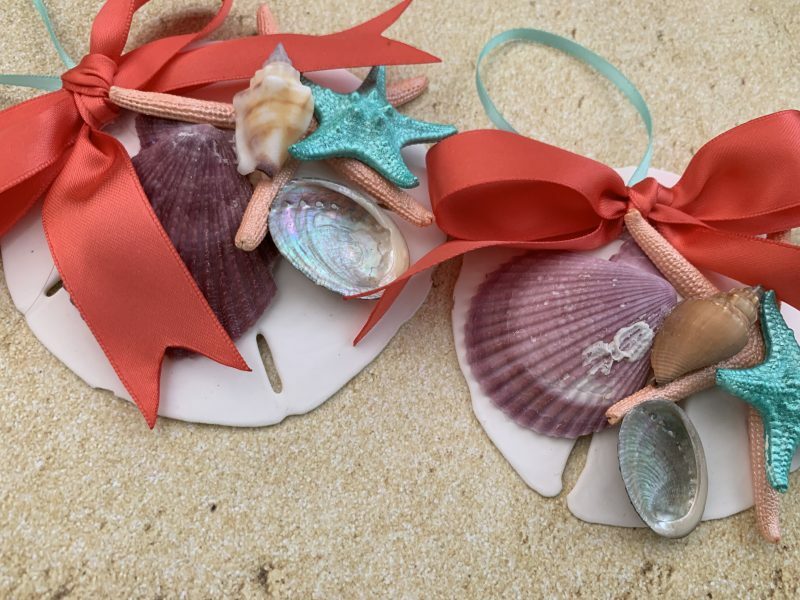 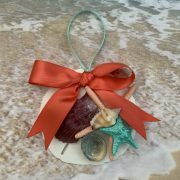 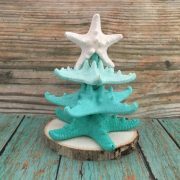 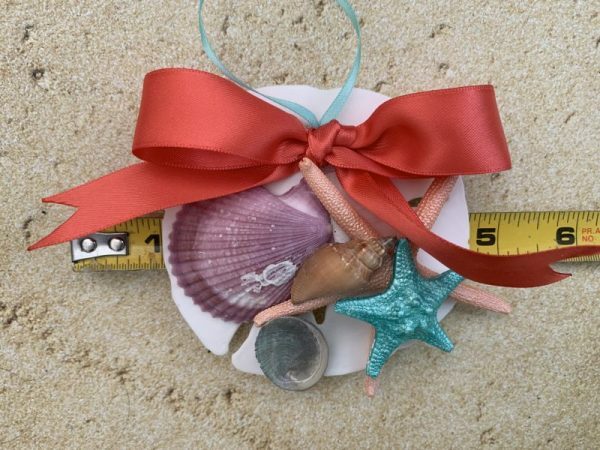 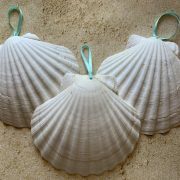 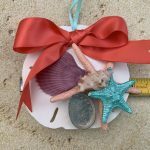 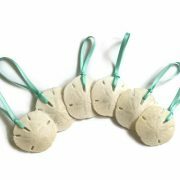 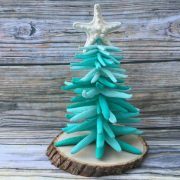 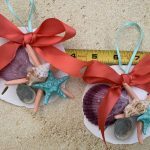 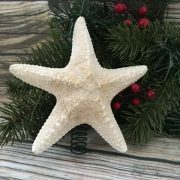 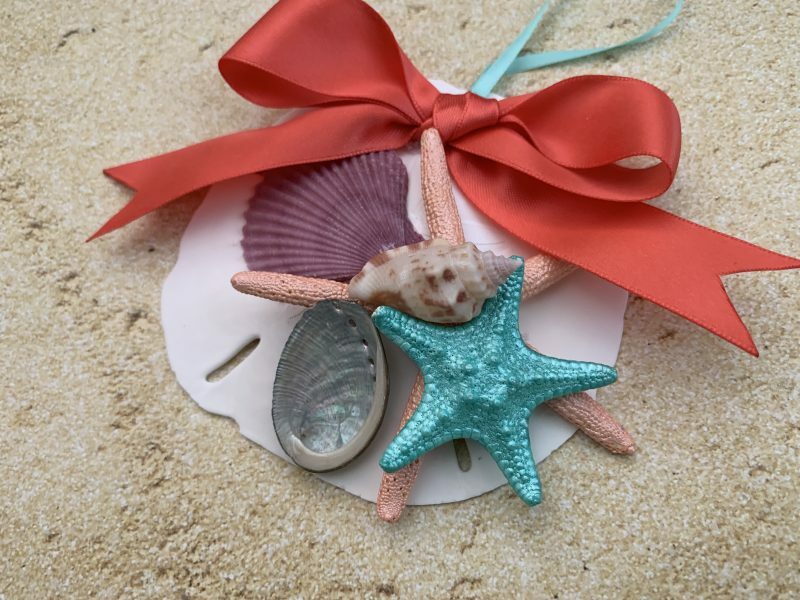 Seashells and starfish are natural and will vary from piece to piece, creating a unique ornament just for you! 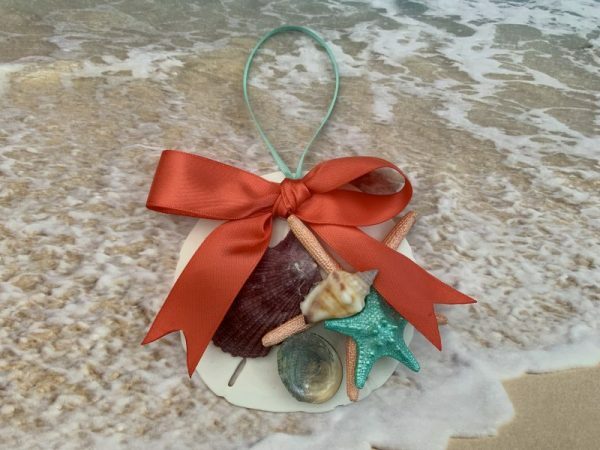 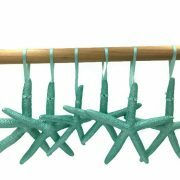 Hung with turquoise ribbon, with coral bow. 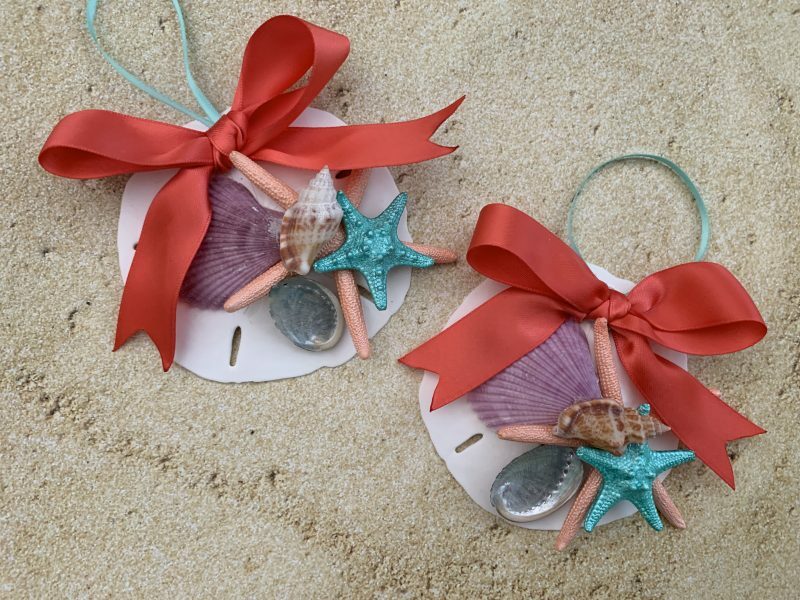 Click here for the coordinating one with a turquoise bow.